March 12th - Featuring Dennis the Menace Freebies! -- A long-running newspaper comic, created by Hank Ketcham, which first appeared in March 1951. Featuring the adventures of mischievous five-an'-a-half -year-old blond boy Dennis Mitchell, often at the expense of his parents, Henry and Alice, or his neighbor, Mr. Wilson, it quickly became a newspaper favorite. 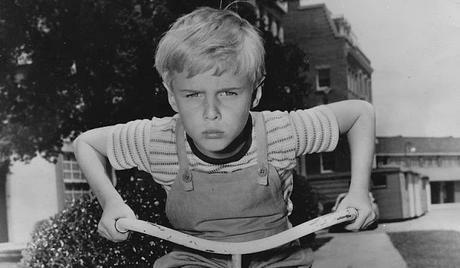 Over the next forty-two years, Dennis has been used as the basis for a weekly television series, an animated program, and now, a major motion picture. 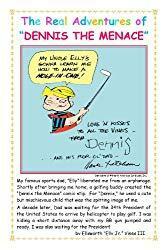 -- Dennis the Menace is the third most-widely subscribed cartoon feature today, appearing in more than 1000 newspapers all over the world. 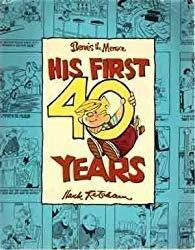 It is read by an estimated 100 million fans, for whom Hank Ketcham has compiled this career to date collection encompassing some 700 separate cartoons and nearly 50 Sunday pages in color. In drawings made just for this book, Dennis himself serves as guide through the hundreds of carefully selected panels, which he annotates with a combination of wisecracks and historical commentary. 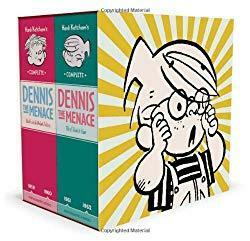 • Hank Ketcham's Complete Dennis the Menace 1959-1962 -- This box set of Hank Ketcham's Complete Dennis the Menace 1959-1962 features over 1,250 cartoons in two books, featuring Dennis and his long-suffering parents, the Wilsons, his dog Ruff, his best pal Joey, his nemesis Margaret, and a seemingly endless parade of babysitters, as well as hapless shopowners, policemen, teachers, and family friends, all of whom come to realize it is Dennis' world... they just live in it! This book rests as easily on a grandfather's shelf as a granddaughter's, but they especially recapture the rambunctious youth of the baby-boomer generation. 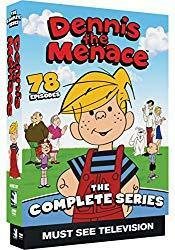 • Dennis the Menace - The Complete Series -- All 78 Episodes! Your favorite neighborhood pest and all his comic misadventures are back! Based on Hank Ketcham's popular comic-strip, this animated series became a staple in countless households throughout the mid-80s. Filled with misguided mischief, hilarious havoc and youthful curiosity discover how Dennis became the most lovable troublemaker around. - At the turn of the century when film was being born, so was one of the greatest directors of all time. Known by many as the Master of Suspense, Alfred Hitchcock revolutionized film-making during his expansive fifty-year career. Sadly enough, although extremely influential, Hitchcock would never win a single Academy Award for his outstanding directing ability; however, Alfred Hitchcock's ideas and techniques changed film-making during its most pivotal years and for generations to come. - Girl Scout Day recognizes and celebrates the Girls Scouts of America. On March 12, 1912, Juliette Gordon Low started the first Girl Scout group in Savannah Georgia with 18 girls. The Girls Scouts became a national organization and was chartered by the U.S. Congress on March 16, 1950. Today, there are millions of girls involved with Girl Scouts. - Scallops are one of the most popular shellfish in the world. These meaty mollusks are low in fat and are delicious sauteed, deep fried, or baked! Baking them leaves out a lot of the butter and fat which otherwise goes into cooking this lean, white seafood. Put scallops on the menu and in the oven for National Baked Scallops Day! - There are disputes about which was the first public library in the nation. Early American cities such as Boston and Philadelphia and New York had the first organized collections of books, but which library was truly public is subject to dispute. Sidis claims the first public library was Boston's in 1636, although the official Boston Public Library was organized later in 1852. In 1698, Charleston's St. Philip's Church Parsonage had a parish library. - A day to get a little dirt under your fingernails. Take a few minutes to plant a flower today. Gardening is a great hobby. It's enjoyed by millions of people, old and young alike. It is a hobby which virtually everyone can participate in, regardless of age, and health. Senior citizens love it, as they can garden long after they give up other hobbies and sports. - One day each year for the more than 34 million home office households to find files, purge papers and tackle to-do lists.